Craig Smith and Colton Sissons scored second-period goals as the visiting Nashville Predators took the lead for good and defeated the Los Angeles Kings 3-1 on Thursday to keep pace in the Central Division. Viktor Arvidsson also scored a goal as the Predators remained in second place, a point behind the Winnipeg Jets, who earlier won at home against the Boston Bruins. 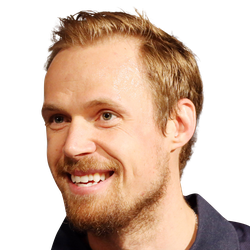 Goaltender Pekka Rinne had 25 saves as the Predators won in regulation for the first time in their past nine games. Austin Wagner scored a goal for the Kings after missing the past four games with a lower-body injury. Los Angeles lost for the fourth time in its past five games and for the 14th time in its past 16 games. The Kings played well for most of the second period, getting Wagner's game-tying goal less than three minutes after the first intermission. Arvidsson had scored a goal for the Predators in the first period, his 29th. Wagner's 10th of the season came when Matt Roy's pass from the blue line found Trevor Lewis in the corner, and Lewis fed Wagner in front of the goal. Roy's assist was the first point of his career in his 13th game. Despite the Kings skating fast and getting to loose pucks, the second period got away from them quickly as the Predators caught a break. 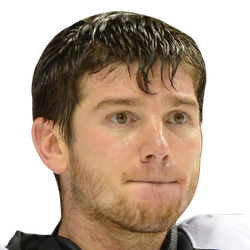 Sissons fired a shot on goal that was saved by Los Angeles goaltender Jonathan Quick. But the puck popped up in the air, and a charging Smith tapped it in from knee-high at 15:32 of the period for his 19th of the season. Less than three minutes later, Sissons had a goal of his own when his tumbling shot from the left circle made its way through the legs of Quick. It was Sissons' 12th of the season. At 40-27-5 (85 points), the Predators still have 10 games remaining to catch the Jets, including a showdown at Winnipeg on March 23. The Jets (41-25-4, 86 points) still have 12 games remaining to pad their division lead. The Kings (25-37-8, 58 points) have 12 games remaining in a disappointing season that included a 10-game losing streak from Feb. 9-28. The Kings are the worst team in the Western Conference and one of three teams in the NHL that have not reached 60 points.